“From here I make a call to all Muslims. 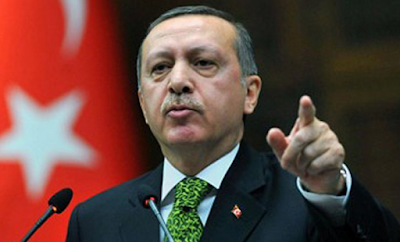 Anyone who has the opportunity should visit Jerusalem, Al-Aqsa mosque,” Erdogan said in Ankara. “Come, let’s all protect Jerusalem.” He was referring to the site, known to Jews as the Temple Mount, which is central to the Israeli-Palestinian conflict. “They are attempting to take the mosque from Muslim hands on the pretext of fighting terrorism. There is no other explanation,” Erdogan said in a speech to ruling Justice and Development Party (AKP) lawmakers in parliament. He said Israel’s legitimacy rested on the extent of the respect it showed to Palestinians and their rights. “It does not make sense to attack synagogues here because something has happened at Al-Aqsa mosque. This does not suit our religion and it is not allowed,” he said.